Advanced trading software can help you identify the right stocks, which is the reason behind the success of online stock trading. But ultimately you need to decide the industry you wish to focus on for your investing, depending on various factors. If you’re thinking of investing in electric automobile stocks, Tesla Motors ($TSLA) has gained significant headway though it has faced hiccups in its Model 3 production. The company’s advantage comes with its fast charging technology. The electric automobile revolution cannot go ahead unless there are enough charging stations that charge the batteries in the electric cars really fast. Tesla Motors’ ($TSLA) Elon Musk has revealed that his company is constructing thousands of Supercharger centers all around the United States and globally too, while some are awaiting construction permits. Though Tesla’s Model 3 production is not moving ahead at a frantic pace, its charging stations certainly are, as per data from Electrek reported in this Nasdaq article by Oilprice.com. In fact, these stations are being set up at record pace and the company wants to further break this record. As per Electrek’s calculations, Tesla’s arsenal contained 1,124 Supercharger stations at the beginning of 2018. That number rose to 121 by April-end. Much of this rapid pace was the result of Tesla wanting to stay ahead of the emerging competition in the charging station arena. There are other companies too that are setting up electric charging stations for automobiles. That gives Tesla extra motivation to obtain more locations for its charging stations. Tesla is also adding more charging points to its existing stations, Electrek reports. As a result, its Supercharger stations now have 10 or 12 charging points. There are also some Superchargers that reportedly have 50. There’s also a change in how Musk referred to the charging stations in his tweet with Fred Lambert of Electrek – he didn’t call the new charging stations “Superchargers”, but “locations”, indicating that Tesla is actually adding new stations and not just charge points to its network. 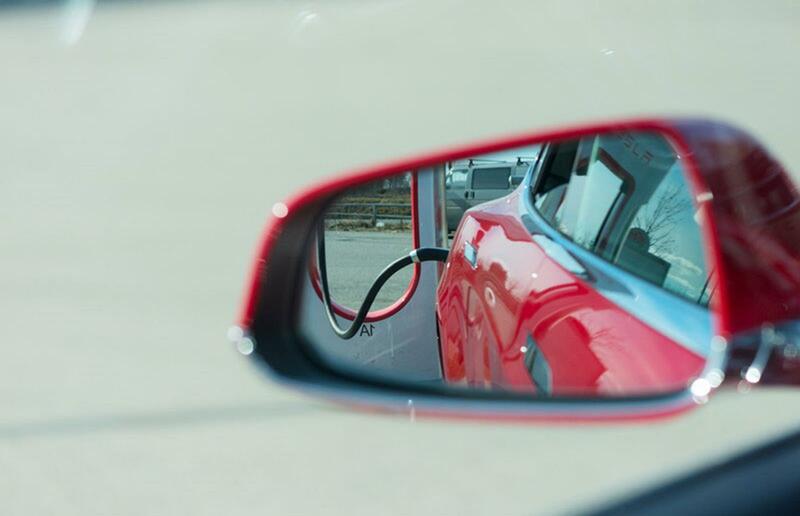 Two of Tesla’s biggest charging stations, both in California, are equipped with 40 stalls. One of these also features a lounge probably for Tesla car owners to refresh themselves while on a long journey. This surge of activity could result in the company being able to fulfill its objective of installing 10,000 Supercharger points, though that target was initially intended to be fulfilled by December 2017. As of now, Tesla has 9,712 Superchargers spread across 1,252 locations. And there are thousands more to come, according to the Nasdaq article. That would help Tesla exceed its goal. The crucial part here is that Elon Musk has expressed his willingness in other electric car manufacturers making their vehicles compatible with Tesla’s Supercharger standard. This Road Show article reports that as long as competing car manufacturers pay for it, Tesla will enable them to make use of its charging facilities. The Supercharger is a DC fast charging technology that enables electric car passengers to travel long distances without spending the whole night just for charging their vehicles. And it’s this technology that has been the Tesla brand’s selling point. But Musk allowing other manufacturers to benefit from this for a price seems magnanimous. He famously remarked that the Supercharger technology isn’t “a walled garden.” But it doesn’t take much to figure out the logic behind this. Musk has stipulated that these manufacturers would have to pay for a significant chunk of the costs. That brings in further income for Tesla. The manufacturers would need to adopt the plug standard used by Tesla or equip their vehicles with an adapter. But Musk’s openness in allowing rival electric can manufacturers to use its charging technology for a price is nevertheless surprising, and gives companies such as Faraday Future, Lucid Motors, EVelozcity and others a massive shot in the arm. Through the licensing of the Supercharger technology and access to the charging network, these small electric companies can gain a significant advantage on established carmakers branching out into the electric field, such as Volkswagen that has its own Electrify America charging brand. Volkswagen has also signed a partnership with Walmart and other companies. All this makes the electric automobile industry a really hot space in the coming months and years. Tesla Superchargers aren’t the only fast charging technology out there. But they still offer unparalleled infrastructure and brand recognition, something which small electric car manufacturers can capitalize on. Volkswagen’s Charge Point as well as EVGo have also embarked on a robust charging infrastructure building plan. Tesla is planning to bring out an update map featuring all the operating Supercharger stations currently operating, and in construction. For identifying the position of Tesla and other stocks as well as securing other vital information to make the right trading decisions, sign up with TradeZero to use its advanced trading software. Call us at +1 954-944-3885 or email support@tradezero.co.